Most real-time systems will provide the operator with the real-time data provided by that service. If you are using multiple services from one vendor (mudlogging, M/LWD) then you may see much more in your real-time console. But you will not typically see geological interpretations from the wellsite geologist. You would ordinarily get this information from the wellsite geologist's log - perhaps twice daily - and in more critical phases, a one-to-one call between wellsite and operations geologists will take place to discuss a snaphot of the log at that time. Why not give the wellsite geologist the opportunity to feed data to the real-time display, give the whole operation geological context and allow asset geologists and petrophysicists a chance to help monitor the well too. The geologist will be using an application to create the wellsite log, and later the composite log. 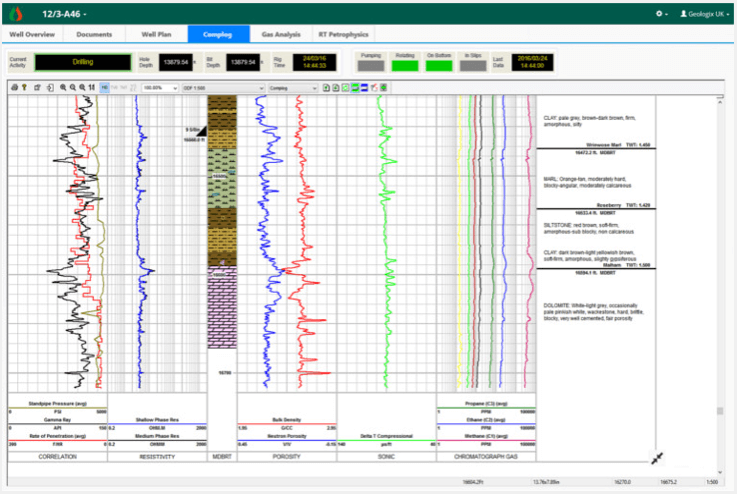 By using GEOLite from the GEOSuite the wellsite geologist will be able to send key geological interpretations to the WellXP real-time system. It causes no change in the normal workflow of the wellsite geologist, save a click of a button now and again to make the upload – it’s their choice when this happens. Lithology, accessories, formation tops, casing picks and descriptions can all be sent up to WellXP. 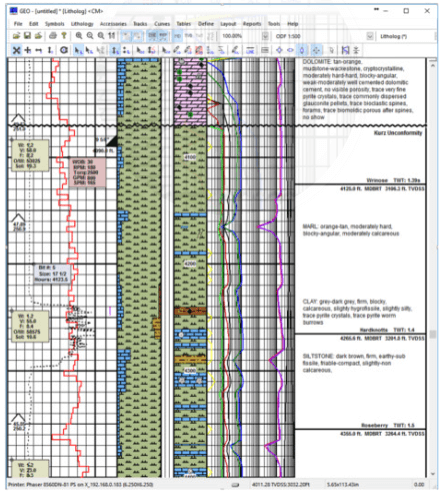 This does not and should not replace the tried and tested lines of communication for the geological operations team (daily logs, regular calls) but it does create a much richer, deeper and complete real-time picture of the well for other stakeholders – with little additional effort.